Seven Questions to Ask Your Paving Company Before You Sign Anything! | Pimentel Paving Inc. Seven Questions to Ask Your Paving Company Before You Sign Anything! We understand how important it is that your paving project is both excellent quality and an outstanding value. You want the work to go smoothly and quickly, look great and last the test of time. 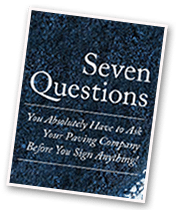 That’s why we put this guide together — “Seven Questions to Ask Your Paving Company Before You Sign Anything!” — to help you make a sound, educated choice when selecting a paving contractor. If you do a little research following our guide, you can be assured of hiring someone reliable that you can trust. By asking the right questions before you sign a contract, you can spare yourself frustration, disappointment, and a lot of money. The seven questions in this booklet are both essential and reasonable – ones any reputable contractor would be glad to address. Let us know if you have any concerns or need more information. We’re glad to help. Pimentel Paving paved our steep and challenging driveway over the past two days. They were efficient, amazingly hard-working, and they completed all the work that we had agreed upon, plus some extra. The price they quoted us was significantly less than we anticipated, so we were able to complete about twice the amount of paving for our budget. Carolyn in the office was responsive and a pleasure to work with. I am happy to recommend Pimentel Paving without reservation. It doesn't get any better than working with the Pimentels!! Customer service and quality of work is superior. Ours was a difficult job, a private street with 25 homeowners. After getting bids from several contractors, the Pimentel bid stood out as the best bang for the buck. We also liked the fact that it is a family owned business with great reviews. It took 2 years to get all homeowners on board and Carolyn held our hand the entire time. 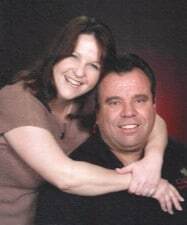 Both trucking and asphalt prices had gone up, but the Pimentels held their 2 year old price. On paving day, Joe arrived with excellent equipment and the crew worked together like a well oiled clock. Watching them put on finishing touches was like watching artists at work. Our new roadway is beautiful! I would hire them again in a heartbeat. Joe is a wizard at his trade and has a hardworking competent crew. He paved a driveway for us last year and a difficult parking lot this year. Pimentel Paving is as good as it gets. Professional at every phase, efficient, accommodating, courteous and affordable. Thank you Joe and crew! Pimentel Paving paved my driveway about 4 years ago and did a great job. Each year I contact them to slurry coat my driveway to keep it looking awesome. The people at Pimentel Paving are really friendly and responsive and they do terrific work. I get compliments from everyone on how nice my driveway always looks. I would recommend them for any size paving job and their prices are very competitive. I understand now why they are Diamond Certified and they stand behind their work. Kudos to Pimentel Paving!! Pimentel Paving repaved my driveway and installed compacted rock on the shoulder of the road in front of my house last week. I can not recommend this company highly enough! From the start the owners went above and beyond in customer service. They were extremely professional, competent and helpful. I have had some very bad experiences with licensed contractors in the past and Carolyn Pimentel took the time to show me how to investigate contractors more thoroughly on the State Licensing website. I learned a great deal that will help me avoid unethical companies in the future. I had gotten quotes from three other paving contractors, but none of them were as knowledgeable or professional as the Pimentels. For example, the contracts the others offered neglected to include important details like the depth of the asphalt to be laid or the type of rock to be compacted. In addition, the Pimentels were the only ones who guaranteed their work. They offered to do a more thorough job and lay a deeper layer of asphalt than any of the other bids for a price that was less than two out of three other bids! They arrived on time, the owner, Joe, was on site through the whole project, the workers were courteous and the job was finished within the time frame promised. They did a beautiful job for a very reasonable price and they guarantee their work, which none of the other paving contractors offered. I wish all contractors I deal with would be of the quality and integrity of the Pimentels; I would feel a lot less stressed about home improvement projects! Very highly recommended! Pimentel Paving worked at our property on a super warm day. What a crew of hard-working, knowledgeable and safe guys! I couldn't believe the amazing equipment they used and used it well. Joe had originally come over to give us a bid and I could tell he really knew what he was doing. Everything he said would be done was. His estimate arrived promptly and was extremely professional and concisely explained. I spoke with Carolyn Pimentel a few times on the phone and she's great. Joe himself operates the equipment. You can tell when the owner is onboard and is the one passing out bottled waters frequently that he cares about his people. My husband and I feel that we received great value for what we paid and we definitely recommend Pimentel Paving. Thank you Pimentel Paving, Inc. for an excellent job completed on our private road. We share our road with 3 other neighbors and Pimentel Paving came out and gave us an estimate for the complete job and was able to invoice each home individual which was a great help. The job was completed as promised and all of us were extremely happy with the job, but Mr. Pimentel did not leave until the job was done perfect! We will continue to use them for all of our paving needs. Thank You!! I'd like to commend Joe and his crew for a great job that was done on my driveway. It was hard clay with serious washboard and he transformed it into a marvelous work of art. He created a masterpiece, complete with an eye for drainage, as it is a curved, downhill driveway which had serious runoff issues in the past. Carolyn was courteous and prompt with the estimate costs, including an amendment, which I added at a later date prior to the transformation. Thank you Pimentel Paving for completing a job well done. Pimentel did an excellent job paving my very steep driveway. I originally chose Pimentel because of their excellent reputation and very reasonable pricing. (with estimates ranging from $9,800 - $33,000) Given the quality of their work and the pleasure they were to work with, I wouldn't consider using anybody else if I ever needed another driveway repaved. Thank you!